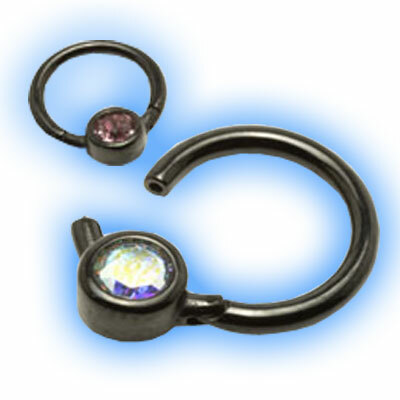 This is a hinged segment ring featuring a flat back jewelled disc with a choice of 4 gem colours. 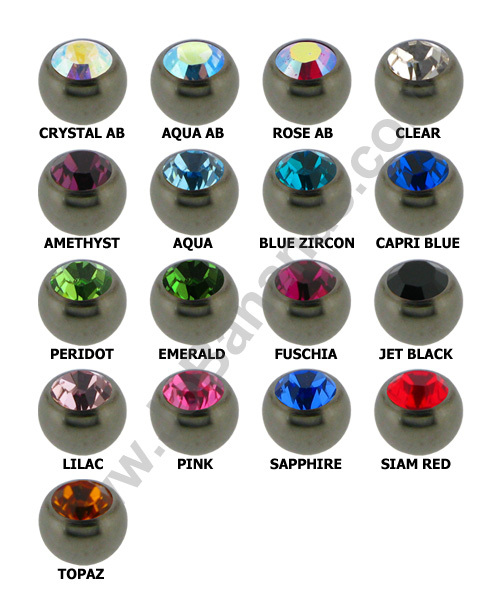 The ring is 1.2mm (16 gauge) in thickness and has an internal diameter measurement of 7mm, 8mm or 9mm. 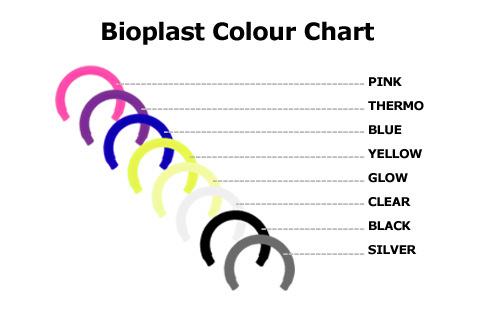 It is made out of 316L Surgical Steel which has had a Black PVD coating applied to it. The gem size is 4mm and the back of the disc is coated to prevent rubbing the teeth and gum. 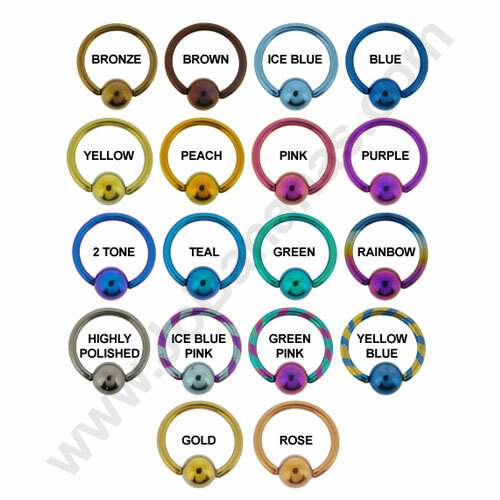 This ring can be worn in many different piercings such as ear piercings, pierced septums and smiley or web piercings.